The Watford midfielder is owned by only 1.6 per cent of FPL managers ahead of his home match against Huddersfield Town. 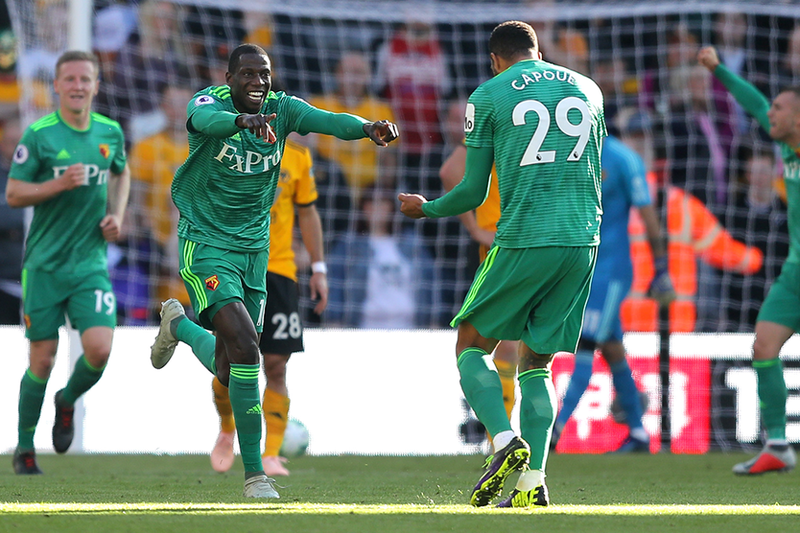 Doucoure faces the Terriers on the back of his season-high haul of 11 points against Wolverhampton Wanderers last weekend. The Frenchman supplied both assists in the 2-0 win and now has four assists for the season. Impressively, that already matches his total from 2017/18. Doucoure's output at Molineux is backed up by his recent statistics. The midfielder's totals of eight shots on goal and seven chances created over the last four Gameweeks are both more than any team-mate. That suggests he will be a big influence against Huddersfield. The Terriers arrive having managed only one clean sheet. They have conceded 18 goals, the third-worst record in the Premier League. Doucoure scored in the corresponding fixture in Gameweek 18 last season. And his recent form points to further success against David Wagner's men this Saturday.